It was the beginning of 2017, Intel thought the year would go really smoothly for them in regards to their mainstream and high-end desktop launches. Intel launched their 7th generation core family, offering consumers the same architecture, slightly enhanced process and slightly higher CPU clock speeds, calling it a day. What they didn’t know was that their rival, AMD, was going to make an epic return just a few months after and when they did, Intel’s worst fears had come to life. 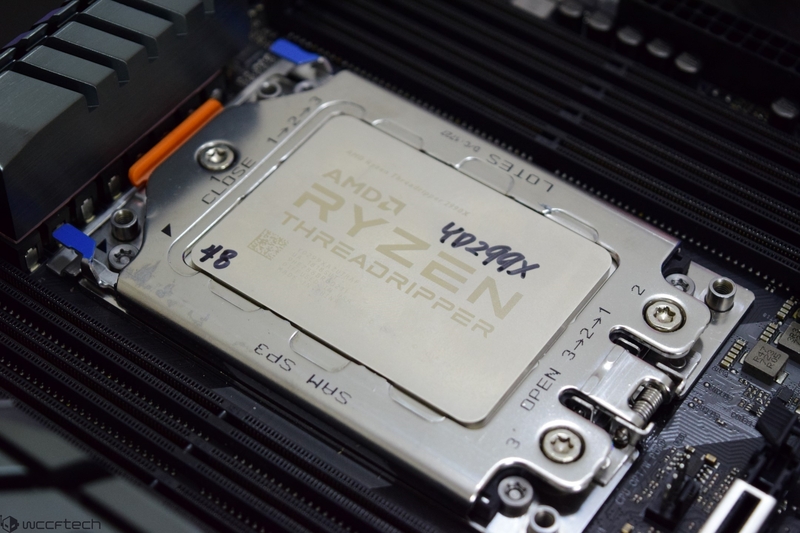 While Ryzen was anticipated to arrive on the mainstream consumer platform, offering IPC on par with Intel’s latest generation processors, it was Threadripper that no one, even the press had not expected. A full-fledged lineup of high-end desktop processors designed to tackle Intel’s Core X line up. AMD’s Ryzen Threadripper and the accompanying X399 platform is designed for enthusiasts, it offered features that are not available otherwise at incredible value while the new Zen cores delivered CPU performance on par with Intel’s modern core architectures. 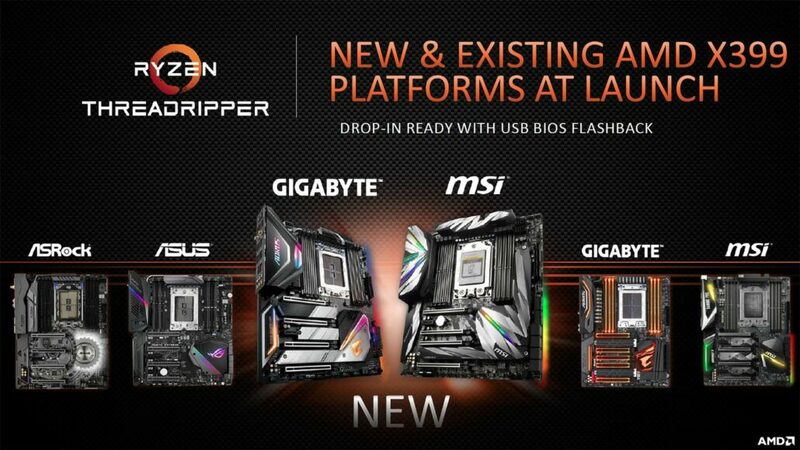 One year later, AMD is launching their 2nd Generation Ryzen Threadripper processors. In similar fashion, the 2nd Gen Ryzen Threadripper processors disrupt the market once again with a beastly performance at an unprecedented value which has yet to be seen. – 1st generation Ryzen and 1st generation Threadripper were manufactured using 14L LPP (Low Power Plus) process technology of GLOBALFOUNDRIES, whereas 2nd generation Ryzen Threadripper based on Zen + microarchitecture was manufactured by GLOBALFOUNDRIES 12 nm LP (Leading Performance) process technology adopted. If the same power consumption is higher than the first generation Threadripper, AMD is appealing that it can realize lower power consumption than the first generation Threadripper for the same clock. – The automatic clock-up technology “Precision Boost” adopted by the 1st generation Ryzen and the 1st generation Threadripper had the operation clock determined by the number of loaded cores, but this time the CPU voltage, current, core It has been redesigned to detect the temperature and select an appropriate operation clock. As a result, regardless of the number of cores under load, clock up according to the situation. X399 is the next generation and the first AMD high-end desktop platform designed for enthusiasts and power craving users. It is an entirely fresh platform which brings with itself a load of new tech and features that I haven’t seen on high-end platforms for a while now. To start off with details, the X399 platform is very similar to AMD’s server end EPYC platform. 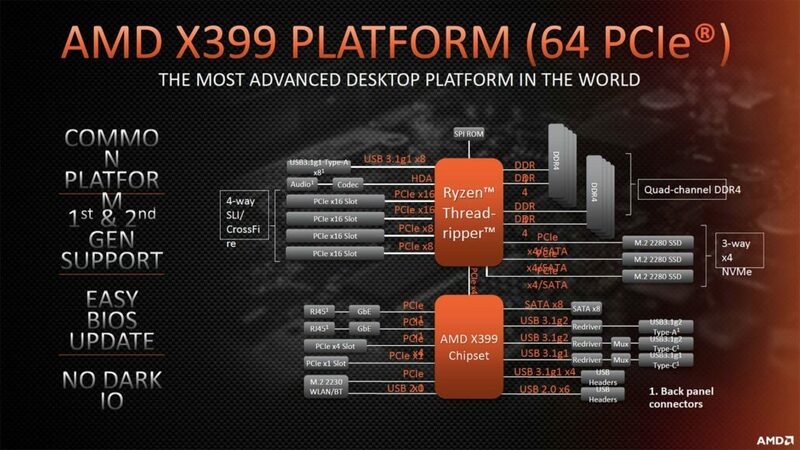 It features support for AMD Ryzen Threadripper chips in which AMD is using the top 5% dies for HEDT consumers, the same monolithic SP3 socket, known as the TR4 and the many PCIe lanes that we should expect on server level platforms. The platform is made in a way that it can cater not only to HEDT consumers but also to the workstation community. 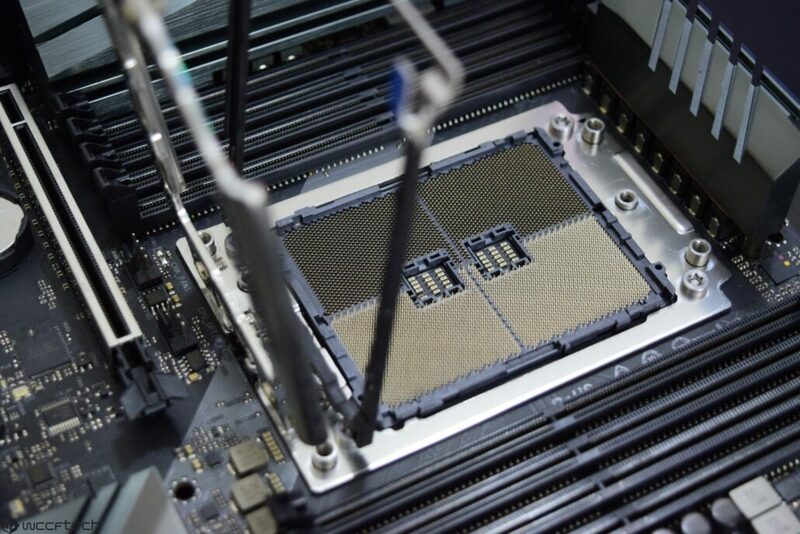 In terms of features, the X399 socket now supports up to 32 cores and 64 threads and there’s no doubt that we will get more cores and threads on the same socket and platform in the future with future iterations of the Zen core. It can support chips with up to 250W TDP and can deliver full 64 PCIe lanes to users. This means for the first time, we have a platform that can drive four graphics cards with full native x16 link speeds. This marks a major revolution and a win-win for AMD. In addition to that, we get 8 PCH PCIe lanes, support for NVMe and NVMe RAID, quad channel memory, up to 12 SATA 3 ports and 14 USB interfaces. The only rival on the market for X399 is X299 and honestly speaking, the X399 takes the lead in terms of raw specifications and features. A year later, we are looking at a slew of new refreshed designs, specifically built for the 2nd generation HEDT processors. 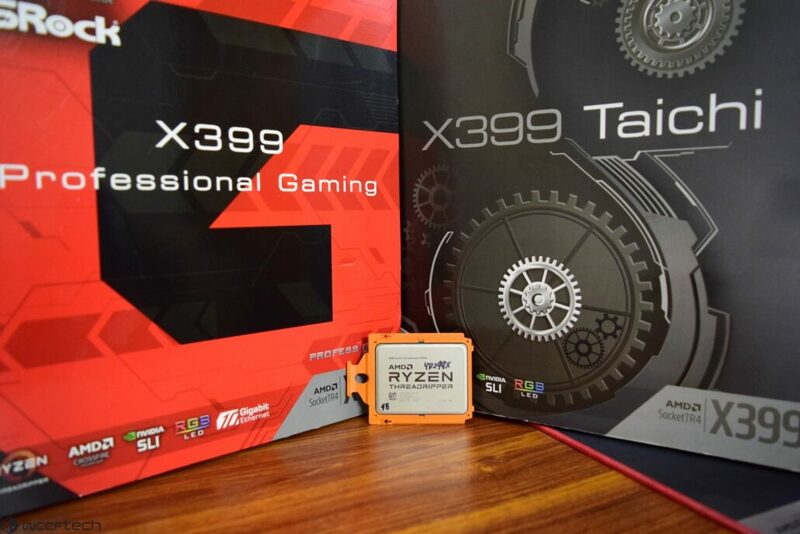 We have already seen the MSI MEG X399 Creation and AORUS X399 Extreme designs so we can also expect other products from the remaining manufacturers. For existing motherboards, partners have released new BIOS firmware that enables support on them (read more here). The AMD TR4 socket is the same as their server end SP3 socket which has been repurposed for the HEDT market. It is a monolithic design that features 4094 pins in the LGA (Land Grid Array) design and looks absolutely beast. 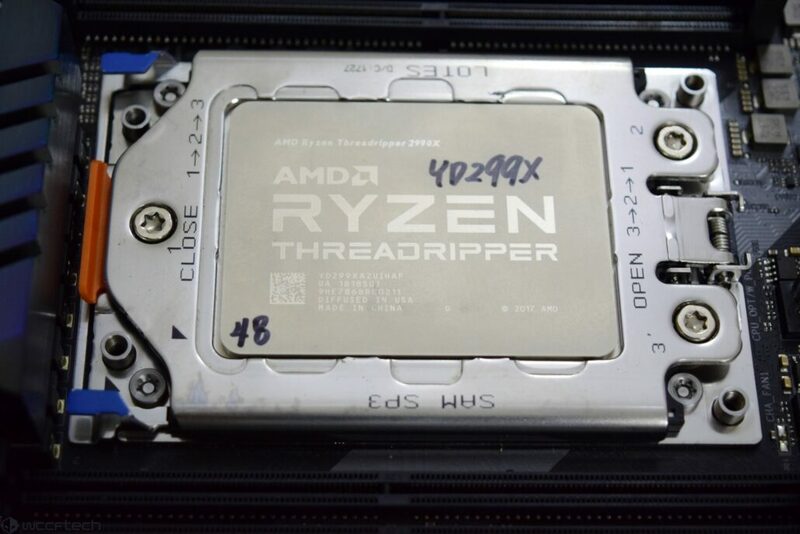 Since the socket hasn’t changed, all coolers that were previously compatible with Threadripper CPU would run fine with the 2nd Generation Threadripper chips. Despite that, new coolers are going to be available by various manufacturers since the WX series have TDPs of up to 250W. Those require better heat transfer and cooling solutions and I will be testing my sample chip with a range of air and water cooling solutions.